Pallet Truck Services are proud to have served the south of England since 1983 and we intend on providing many more years of great service. We have worked closely with a wide range of warehouse firms and companies within the manufacturing industry and we are proud to say that our customers seem to be delighted with what we offer. We are always happy to receive a glowing testimonial because we aim to provide a high level of customer service to all of our customers. We have everything you could need if you are looking to buy, hire or even just rent forklift trucks, hand pallet trucks and stackers. We even stock spare parts so if you have one of these machines and need a part replacing, let us know and we’ll be more than happy to help out. You don’t spend as long as we have in this industry without picking up some knowledge and we are always keen to help out. If you need any information or advice about getting the best return from your forklift trucks or related machines, gets in touch and we will be happy to help. We are also proud to offer forklift training East Sussex services so if you need to get your team up to speed with qualifications and skills, we can help you out. We aim to provide you with cheap and affordable rates and with free delivery; there will be no nasty surprises in store when you deal with us. 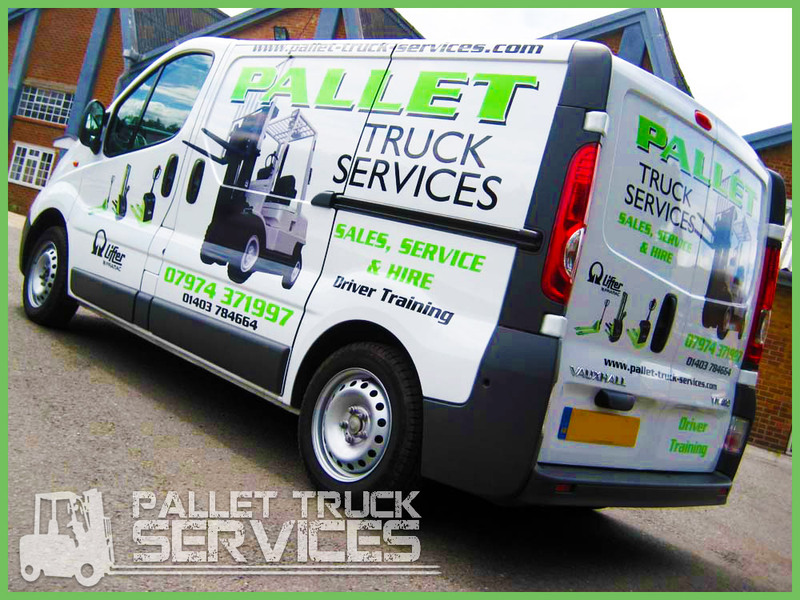 At Pallet Truck Services, our aim is to provide a swift and reliable service no matter what you need and our team is always on hand to provide servicing or buying advice. If you want to ensure that you can supply the best possible service to your customers, come to us to ensure you are in the position to do so.